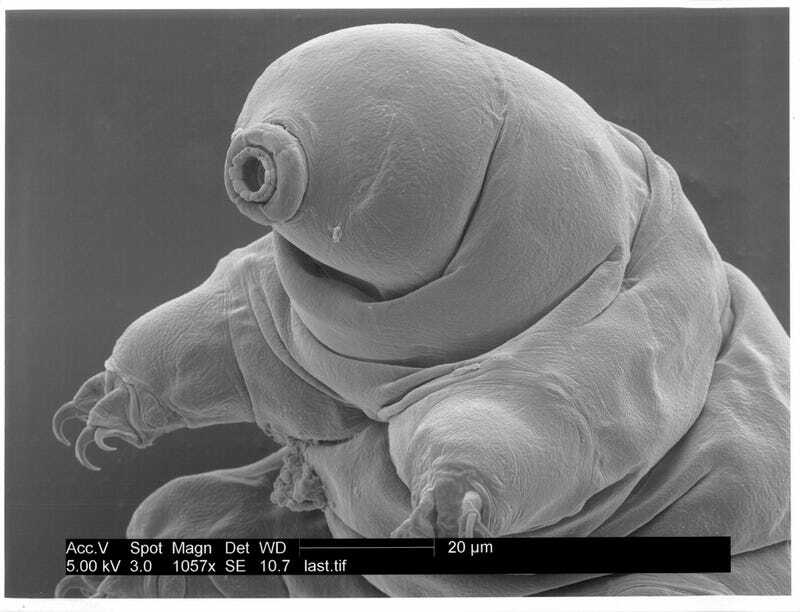 Tardigrades were on Cosmos this, so of course they're trending today. We've covered them before here and here and here. What's new this time? You can buy your own fuzzy tardigrade at Giant Microbes, who advertise with this joyful tardigrade. I don't have the image-rights to share this fantastic close-up directly, but trust me, click here.